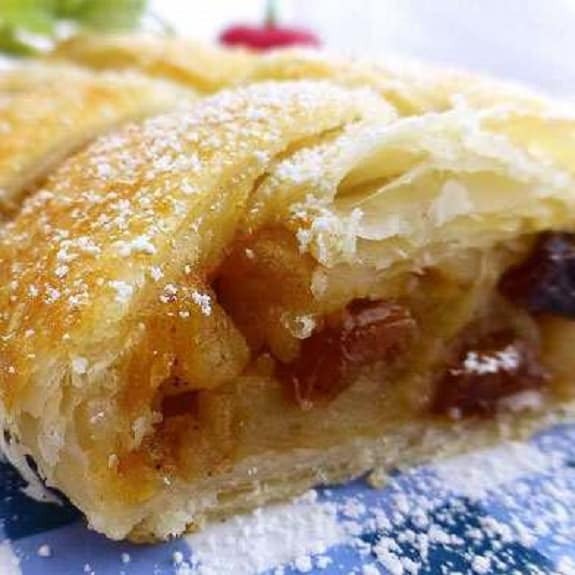 Oven baked apple strudel.Yummy dessert baked in oven. Stir plain flour on to work surface. Add beaten egg and mix well. Thinly slice half of apples. Coarsely grate rest of apples into a a small bowl. In a small bowl,combine coarsely grated apples,sugar,cinnamon,raisins,lemon rind,almonds and half of bread crumbs. Place a large patterned tea-towel on a flat surface and sprinkle it with flour. Roll out the dough on top until it is same shape as towel. Slide your hands between dough and tea-towel. Lift and stretch dough until thin enough to see pattern of tea-towel through. The rectangle should eventually measure about 20×16 -inches(50×40 cm). Preheat the oven to 400°F(200°C). Lightly brush dough with remaining butter. Sprinkle with remaining breadcrumbs,leaving a 1-inch(2.5 cm) boarder all round. Spread almond mixture evenly over dough. Arrange apple slices on top. Fold border over filling,the roll up. Place on greased baking sheet,curving to fit. Brush with remaining butter and bake for 10 minutes. 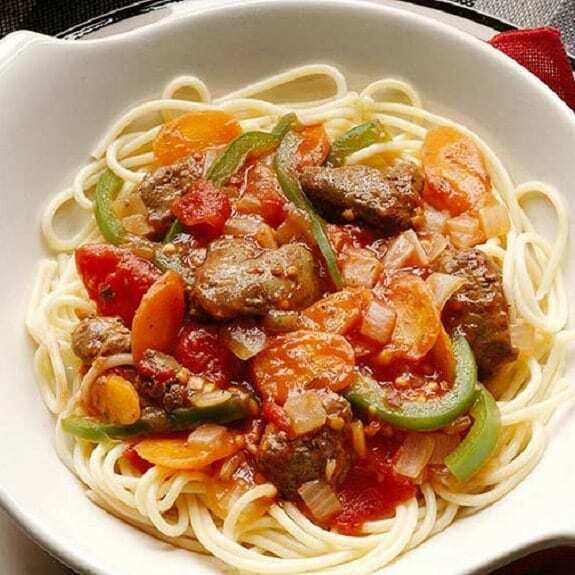 Reduce heat to 375°F(190°C). Bake for a further 30 minutes.Sprinkle with icing sugar. Serve oven baked apple strudel warm.